The Forest Stewardship Council (FSC) is an international not-for-profit organization that was founded in 1993 by environmental groups such as Greenpeace, The Sierra Club and World Wildlife Fund. Its mandate is to protect the world's forests through globally recognized principles of responsible forest stewardship. Between 2000 and 2004 I served on the board of FSC Canada in a variety of roles, including Treasurer and Chair. In that time I was privileged to meet people with a divergent range of perspectives that were all connected, in one form or another, to trees and forests. The people I met ranged from industry executives to environmentalists; government bureaucrats to members of NGOs (non-governmental organizations); social activists, trade unionists, hunters, trappers, biologists, loggers, scientists, and a variety of indigenous peoples who all relied on the forest to some degree for their culture, livelihood and spirituality. Because FSC is regarded globally as the most comprehensive forum where all of these diverse voices can be heard, it makes sense that a tremendous amount of unique information relating to trees and forests can be found there. During my tenure on this board I learned many fascinating things about the forest and the broader natural world, none the least of which was the fact that there seems to exist a form of higher intelligence within the natural world that defies any kind of scientific explanation. Most of us already know that in the frigid coastal waters of the Pacific Northwest there is an annual event taking place that is known as the salmon run. Every year many hundreds of thousands of salt water salmon - having grown to maturity in the far reaches of the Pacific Ocean - instinctively take it upon themselves to migrate hundreds of miles to the very rivers from which they themselves originally came. Having found the mouths of the rivers of their birth, these fish then begin a long battle upstream against raging currents of water that cascade down from the snowmelt of the surrounding mountains. While fighting this current these salmon must simultaneously dodge gauntlets of hungry bears who have come to depend on this annual protein-rich feast of fish in order to fatten up for the long winter hibernation that lies ahead. Those salmon that succeed in overcoming the river and the bears earn themselves the right to lay and fertilise eggs on the pebble bottoms of the upstream riverbeds. Having completed their task these salmon then die and complete their cycle of life at almost the precise spot where they themselves we born several years earlier. For many years foresters and biologists have studied this dynamic and developed theories on the possible connections between the salmon and the surrounding forest. Why, for example, were the trees closest to the river bigger and stronger than similar trees of similar age growing a mere hundred yards away? What scientists discovered was that when a bear caught a salmon in the river, it would typically haul that salmon into the nearby line of trees. This would allow them to feast in a place that was concealed from their hungry competitors. In their haste to fatten up for the winter these bears would focus on eating the protein-rich eggs and brain matter of the fish - leaving the rest of the carcass to rot in the forest. The simple theory that resulted was that these decaying fish became fertilizer for the nearby trees and plants. To scientifically prove and measure this theory, the scientists isolated a protein that was unique to the salmon species. This protein became identified as the N-15 protein marker. The theory went on to speculate that by measuring the vegetation alongside salmon streams for the N-15 protein marker, it would be possible to verify not only that fish protein was feeding the trees, but also how much of that protein was making its way into the trees. And by taking core samples and measuring the amount of N-15 protein in each layer of tree rings, it would also be possible to compile a historical record of the size of salmon runs in previous years. This type of study held considerable fascination for many people connected to the forest industry because of the unique and close interconnected relationship that exists between bears, rivers, trees and salmon in this rather complex dynamic. The bears, for example, depend on the salmon directly as a source of food, and on the river indirectly to deliver the salmon, and the trees to provide cover. The salmon, in turn, rely on the river as a means of transport and as a place to spawn their young. The salmon also depend on large and healthy shoreline trees to provide the necessary shade to keep the river water cool, because warm water kills eggs. In addition bears help the salmon by culling weaker fish from the spawning run, thereby ensuring healthier and stronger future offspring. The river relies on healthy trees and other ground vegetation to prevent silt from clogging its beds. The trees, in turn, were found to have a more complex and dynamic role within this larger equation. It is obvious, for example, that the trees rely directly on the bears to deliver the fish from the river to the surrounding forests. 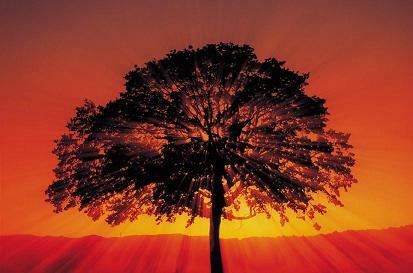 Trees, however, are not carnivores and cannot digest meat. Therefore, scientists began to study the process that converts fish protein into tree fibre. What they discovered was that there are tiny microbes living in the soil near the root base of trees, and these microbes break down the decaying fish carcasses into a manner that is digestible by trees. This reconstituted form of fish protein is then delivered by the microbes to nearby tree rootlets and these rootlets, it turn, make a barter transaction with the microbe of a droplet of tree sugar in exchange for the delivery of partially digested fish protein. In this manner the tree receives the food it needs in order to thrive along the river's edge. By using the barter transaction the tree rewards the microbe with the sugar droplet the microbe needs for its own survival. The microbes, after all, can only live on tree sugars and not fish protein. While this dynamic is fascinating in its own right, there is one key aspect of it that utterly boggles the mind. In studying the relationship between trees and microbes, the scientists decided to monitor the flow levels of sugars within tree root systems. This idea developed from the theory that the levels of tree sugar production within the tree would probably ebb and flow in direct proportion to the amount of partially digested salmon protein the tree would be bartering for with the soil microbes. What scientists discovered was astounding. While the levels of tree sugars did, in fact, ebb and flow in direct proportion to the amount of salmon protein that was being transacted, the stunning discovery was that the levels of tree sugars started to rise while the salmon were still hundreds of miles out to sea. And the level of tree sugar production would also fluctuate in direct proportion to the size of the run. What this means is that on some mysterious and completely unexplained level the trees seem to know in advance - almost telepathically - not only when the salmon are starting their spawning run, but also how many salmon are due to arrive. Clearly there is some form of higher communication, or consciousness, at work that enables a tree to intuitively sense the instinctive behaviours of another life form hundreds of miles away. Diana Beresford-Kroeger alludes to this as well in her latest book "The Global Forest" when she points out the interconnection between the great forests of the global garden and the invisible forests of the oceans. In a separate chapter Diana also talks about silent sound, and how trees communicate by infrasound. What all this makes clear is that we, as human beings, have generally very little understanding of the true interrelationships that exist between and within all forms of life on this planet. 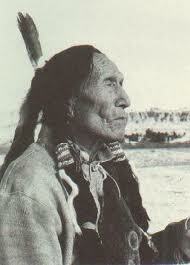 To paraphrase the words of Black Elk: "What we do not understand, we fear. And what we fear, we destroy." Given the collapse that is currently taking place amongst stocks of wild Pacific salmon, and the rampant deforestation that is obliterating many Northwest forests and salmon streams, it is clear that we humans are consistent on this latter point. We end up destroying what we fail to understand.